Ideal for storing and transporting a variety of materials, 1 through 5 gallon open head and closed steel pails are available. 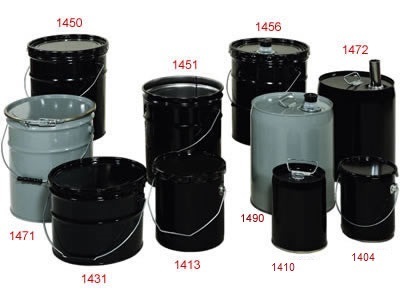 Choose unlined or phenolic-epoxy lined pails with various UN marked options. Ship paints, chemicals, asphalt, petroleum products, liquid or dry products. Many closure options are available for easier filling and pouring.